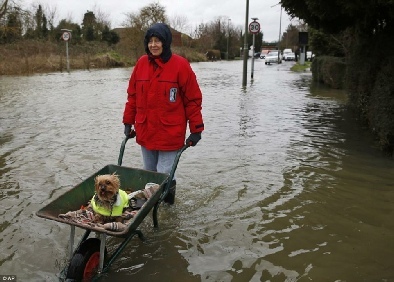 André plans to perform a benefit concert for the British flood victims. In 1995 André joined a fundraising drive on Dutch TV (presented by Linda de Mol) for the victims of the flooding in Limburg. 1995: Interview by Karel van der Graaf. 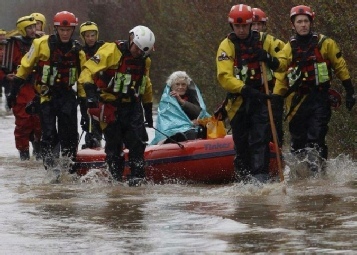 André Rieu speaks about the flooding of Limburg (by the river Maas (Meuse) and his concern about one of the JSO members who lives in one of the flooded villages. 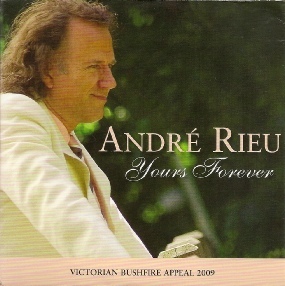 In 2009 André released a CD with the song “Yours forever” (composed by André Rieu and Frank Steijns). 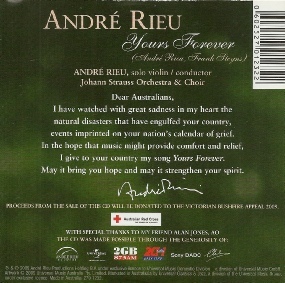 The proceeds from the sale of this CD have been donated to the Victorian Bush Fire Appeal 2009. Click on one of the pictures to hear this song. Click HERE to read a newspaper article in the Harmony Parlor. Translations by Ineke and thanks to John for his assistance.